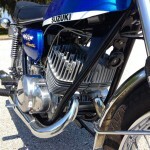 Restored 1970 Suzuki T350 Motorcycle. 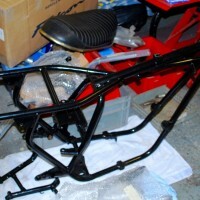 All of the frame parts were powder coated gloss black. 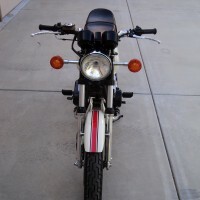 The fuel tank was cleaned out and coated. The Crank was rebuilt with new inner and outer seals. 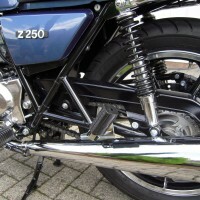 New crank bearings were fitted. 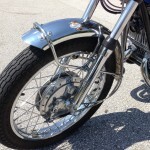 New Wiseco forged pistons were used. 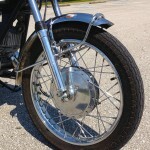 Both wheel rims were replaced with new items and rebuilt with new spokes. 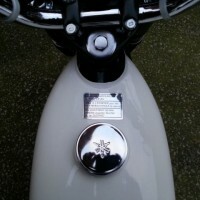 The paintwork was professionally refinished in the correct colours. 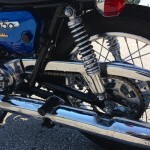 Both inner fork tubes were replaced and rebuilt with new seals. 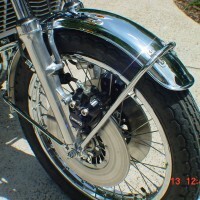 All of the aluminium parts were polished. 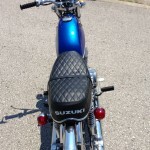 Suzuki T350 – 1970 For Sale or Wanted? 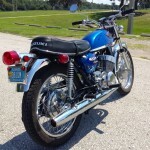 If you're looking for the perfect Suzuki T350 – 1970 for sale then take a look at the hundreds of restored classic motorcycles listed on our extensive Motorcycles For Sale pages. 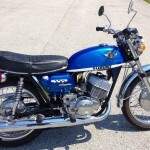 We regularly feature very nice restored Suzuki T350 – 1970 bikes for sale. 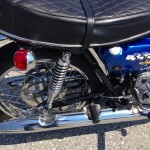 Spares and Parts for your Suzuki T350 – 1970? 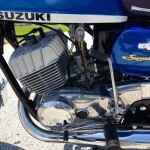 Workshop Manual for your Suzuki T350 – 1970?